The status update below was sent to 76 VPHA contributors and 46 prospective contributors. To register to get the next updates, please email info@ vph-ald.com. I am happy to share that VPHA's ALD history review article in JVSTA, whose manuscript preparation can be followed from the JVSTA-labelled posts in the ALD History Blog, has been well received well in Journal of Vacuum Science and Technology A. The VPHA article is currently "featured", and for about two months it also had the "most read" status (now lost recently to the excellent atomic layer etching review by Kanarik et al. http://avs.scitation.org/journal/jva). Before VPHA's review, another ALD history review has been published in JVSTA, in 2013 by Parsons et al. (with ten co-authors). An ALD History Blog post briefly described the relation between the JVSTA 2013 article and VPHA (look for section "2013, the AVS ALD history article and VPHA"). On Feb 11, encouraged by an article in CU Boulder Today, I wrote about some views on ALD NanoSolutions, particle ALD in general, and about the need to have more particle ALD experts participate in VPHA. Link to post here. Since soon after that post, ALD History Blog has been getting significantly more views than earlier. As a response to the post, Prof Alan Weimer from the University of Colorado contacted me, thanking for the post, and sending along a story related to the early days of ALD NanoSolutions. Weimer discusses how ALD NanoSolutions was created and how it was originally difficult to convince people that it is possible to coat particles by ALD. The story by Weimer was published with permission as a guest post in ALD History Blog, to view it, see here. "Difficulties to convince people about ALD" is something that I have in the past few years heard from many people --- at least Suntola, Leskelä, Malygin and, most recently, Weimer. Suntola's views were written up in the ALE essay (to find the place, search for "German professor" after opening the essay). The publishing of the JVSTA ALD history article triggered me to write about the background of the Virtual Project on the History of ALD. What were the earlier ALD history activities mentioned in the JVSTA article? How was the tabular overview of two-reactant ALD processes built and updated, using the same unique article codes as now used in the VPHA? Information shared in the linked ALD History Blog posts. All written keeping eyes open for the possibility of writing one more final review on the basis of the material collected in VPHA. Further regarding the optional final review. An idea has came, that the tabular overview of two-reactant ALD processes (also called the "mammoth table") could perhaps be updated for this final review. This will only be done, if a sufficient number of active VPHA participants are backing up the plan and will be ready to participate in making the update. More to come on this later. Regarding VPHA Publication Plan Item 11 "Updating wikipedia", the Wikipedia page List of multiple discoveries has been recently updated by adding ALD in the list of multiple discoveries in the 20th century. With this addition, the VPHA Publication Plan Item 11 "Updating wikipedia" is completed. The principles of atomic layer deposition, a thin film growth method in its part enabling the continuation of semiconductor device scaling according to the Moore's law in the 2000s, were developed by Soviet scientists Valentin Aleskovsky and Stanislav Koltsov in the early 1960s and independently discovered in 1974 by Tuomo Suntola. As of February 1, I, the voluntary coordinator of VPHA have started as associate professor of Catalysis Science and Technology at Aalto University. There is a half-year transition period when I work 40% at VTT Technical Research Centre of Finland until the end of July 2017. More details in my Aalto People profile: http://people.aalto.fi/en/riikka_puurunen. The affiliation change should not affect the ALD history activities, as I plan to continue to coordinate VPHA as Aalto University professor. In one post, I wrote about prof. em. Markus Pessa and how he in his part facilitated the meeting of the Finnish, Russian and Estonian ALD scientists in Espoo/Helsinki in 1990. The post was read and commented by Prof. Victor Drozd and Prof. Jaan Aarik; comments are included at the end of the post. Link to post: http://aldhistory.blogspot.fi/2017/02/ald-history-and-prof-em-markus-pessa.html. 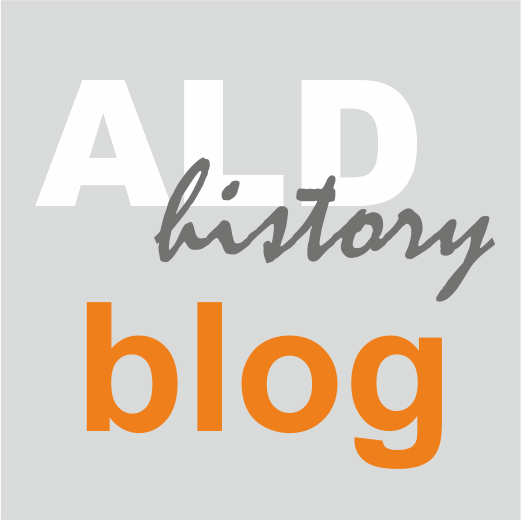 There is a new page in the ALD History Blog, for collection of links to ethical guidelines on research. If you have pagest to suggest which could be added to the list, please let me know. Link to page: http://aldhistory.blogspot.fi/p/ethical-guidelines.html. Link to post announcing the creation of the page: http://aldhistory.blogspot.fi/2017/03/new-page-collection-of-ethical.html. As many VPHA participants may know, I have recently been working on ALD conformality testing and specialized test structures called "PillarHall". A VPHA off-topic communication was sent to VPHA co-authors and prospective co-authors related the topic: http://aldhistory.blogspot.fi/2017/03/communication-to-vpha-participants-on-pillarhall-conformality-analysis.html. More on the PillarHall concept in the SlideShare introduction: http://www.slideshare.net/RiikkaPuurunen/pillarhall-basic-concept-slideshare.